Singapore-based mixed martial arts organization is set to feature two intriguing championship fights on November 11, 2016 at the Singapore Indoor Stadium. Headlining the said card is a duel between Japanese MMA superstar, the current One Championship Lightweight king, Shinya Aoki, and top Filipino 155 pounder in Eduard Folayang. Aoki is no stranger to MMA fans around the world. 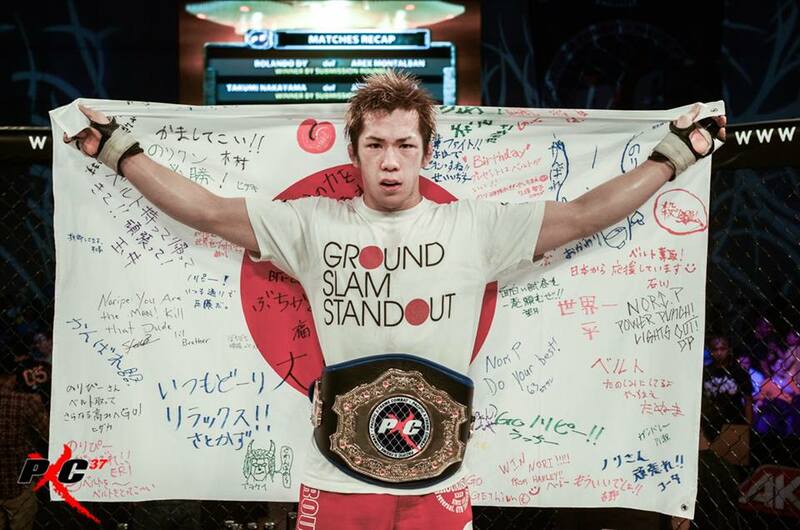 The Shizuoka native is known for his grappling prowess and colorful character inside and outside the cage. “Tobikan Judan” has not been beaten since October of 2012 and has only gone the distance twice in his One Championship career. He is riding a nine-fight winning streak including his first-round RNC win against former UFC fighter Kamal Shalorus and a unanimous decision victory over former Legend Fighting Championship’s Lightweight champion Koji Ando. After defeating Ando to become the One Championship lightweight champion last May 2015, Aoki then submitted the legendary Japanese MMA icon Kazushi Sakuraba at Rizin Fighting Federation last December 2015. On November 11, Aoki will defend his title for the first time against the highly-talented Filipino fighter in Eduard Folayang. Team Lakay’s Folayang has been in the business for nine years and it seems like he is not done yet; not until he becomes the One Championship 155 lbs. title holder. The Baguio-based Wushu Sanshou champion and the former URCC Welterweight king has been through ups and downs on his One Championship career. He is 6-3 inside the One Championship cage with remarkable wins over Felipe Enomoto, Vincent Latoel, Kotetsu Boku, and Adrian Pang. The former high school teacher is preparing himself for the biggest fight of his career so far in Aoki. Folayang’s striking abilities has been the key for his recent wins, but he is that type of fighter who works hard every day to improve other aspects of his game. He does not slow down and he makes sure that fans will see a much-improved fighter every time he steps inside the cage. “The Landslide” proved in his recent fights that he has upgraded his game, especially when it comes to the wrestling department which in the past years has been the biggest hole in his game. Can Folayang stop Aoki’s win streak? Or will the Japanese continues to dominate everyone in his division? Questions will be answered on November 11 when these two great athletes lock horns inside the One Championship cage. Another championship fight is going down in Singapore on November 11 as Russian submission phenom Marat “Cobra” Gafurov takes on a familiar foe in Jadamba Narantungalag for the second time around. Gafurov and Narantungalag first meeting was in November of 2015 when the Russian was the challenger. It was a back-and-forth action between the two warriors until Gafurov saw an opportunity to make the Mongolian tap in the fourth round by way of rear-naked-choke. Since losing his title to Gafurov in November 2015, Narantungalag piled up two impressive wins against Kotetsu Boku and Eric Kelly which gave him the ticket to face the current champion next month in Singapore. Two fighters will try to get back on the winning track as Adrian “The Hunter” Pang meets Eddie “The Magician” Ng in a fireworks-guaranteed lightweight fight. After being out for 8 months, Eric “The Natural” Kelly, is hundred percent ready and healthy to return inside the URCC ring on November 30, 2013, at URCC 24 “Uprising” as he takes on a yet to be named undefeated Chinese fighter who according to some sources, has a 6-0 record. The news was confirmed by Eric Kelly’s manager, Chef Ro. Kelly has long been considered as the first homegrown Filipino fighter to be signed by the UFC. But all the high hopes for Kelly were smashed when Honorio “The Rock” Banario stopped him in the 4th round of their world champioship fight at ONE FC 7 – Return of Warriors. “The biggest mistake I made in my career was when I accepted to fight him (Banario) even though my eye injury is not completely healed”, said Kelly in a conversation with MMA Orient staff, Zike. Now that his injury is all healed up, Kelly is pumped to redeem himself from his last fight when takes on an undefeated Chinese fighter as a main event bout of URCC 24 “Uprising”. URCC 24 is set to go down on November 30, 2013, at the SMX Convention Center. A heavyweight contest has been confirmed by URCC as Igor Subora, the current heavyweight champion, will defend his title for the first time against a former champion and a two-time SEA Games Wrestling Gold Medalist, Marcus Valda. This heavyweight contest is going to be interesting. A very accomplished grappler takes on a mammoth Ukranian fighter, who is on a roll. Also, a rumored bantamweight championship match is said to take place as Team Lakay’s Dave “The Scarecrow” Galera will make his first title defense versus Submission Sport Philippines’ Reysaldo “Onyok” Transmonte. *Update – Reliable sources confirmed that the Galera vs. Transmonte bout is off. URCC 24 will also showcase the return of the former URCC featherweight king, Ali Khatibi. The DEFTAC standout aims to impress URCC fans after four years of not fighting inside the ring. Though his opponent is yet to be determined, Khatibi is preparing very well for his comeback fight and looks to reclaim his URCC title soon. Genesis “Azukal” Servania rocked the Cebu Grand Hotel last night when he sent his Panamanian foe, Rafael Conception, to dreamland in the second round and became the new WBO Intercontinental Super Bantamweight Champion. The pride of Bohol, Philippines, started the opening round aggressive, pounding Conception with some heavy hooks and uppercuts; but Conception stayed tough and connected his own overhands to the chin of the Filipino. The second round was more of the same. Both fighters exchanged punches but Servania is getting the best of it. At the 2:40 mark of the second round, Servania caught Conception with a perfectly timed uppercut that put the Panamanian on the canvass out cold. Servania kept his record unblemished and improved his record to 23 2ins, 0 loss and 9 KO’s, while Conception drops to 18 wins, 7 losses, 1 draw, and 8 KO’s. In the co-headliner of the night, the former chess player, “King” Arthur Villanueva captured the WBO International Super Flyweight Title by stopping Mexican fighter Edgar “Chololo” Martinez in the very first round. Aside from winning the belt, “King” Arthur, enhanced his perfect boxing record to 23 wins with 13 KO’s. Undefeated Japanese PXC bantamweight champion Michinori Tanaka has successfully defended his title last night against Guam’s Kyle Aguon by way of Unanimous Decision win at PXC 40. UOG Field House in Guam was packed last night as PXC 40 showcased a very explosive night of fights. The PXC World Bantamweight Champion, Tanaka, once again, showed why he is the champion by displaying his much-improved MMA game against Aguon. Both fighters were very cautious in the first couple of minutes of the opening round. Both warriors are waiting for each other to make a mistake. Few exchanges were initiated by both men in the later minutes, but it was the Japanese fighter who showed his speed against the Guamanian fighter. Tanaka scored an incredible throw and controlled Aguon until the end of the first round. Tanaka also exhibited his much-improved standu-up game last night. He threw several lethal high kicks to distract Aguon. His movement is fantastic. He always circles to the right to avoid Aguon’s power. The champion’s takedown has been his bread and butter ever since and he used it again last night to negate Aguon’s striking. Aguon scored a couple of takedowns but every time he takes the champion down, Tanaka always gets up quicklt to his knees. The crowd at UOG Fieldhouse went nuts when Aguon attempted an armbar in the third round. But the champion was so calm and relaxed during the situation and managed to get out of it. There were a certain moments in third round that Aguon was very aggressive stalking Tanaka with punches and kicks, but then again, Tanaka’s movement and speed has been the biggest factor of the night. Tanaka was able to get out of Aguon’s range that gave a lof problem to the Guamanian fighter. Tanaka’s power is undeniable. He stopped a lot of Aguon’s takedown attempts. We all know that Aguon is a very strong wrestler, but he has no answers for Tanaka’s superb grappling abilities. Tanaka keeps his pace and looks fresher against Aguon heading to the fourth round. Tanaka’s dominance is unbelievable; he almost takes Aguon down at will, but props to Aguon for hanging in there. The champ’s takedown attempts are relentless; he is a bully inside the Terror Dome that’s for sure. Aguon had his moment in the last minute of the fourth round, taking the champion down and puts himself inside of Tanaka’s half guard and later on to full mount. But the champion was so quick and very explosive that he was able to reverse the situation in the end of the round. The challenger was aware tha he was behind on points. That is why he was the aggressor in the final round, stalking the champion, throwing deadly body kicks and punches. But just when Aguon got his momentum going, the champion shoots in for a single leg takedown and once again, took Aguon down and stopped his momentum. The fight ended with Tanaka defending Aguon’s takedown attempt. It was a very disappointing round for the challenger. Tanaka won by way of a Unanimous Victory and successfully defended his title for the first time. Though he got the win, the Japanese champion admitted during the post fight interview that he is not happy with his performance and will train harder to get better. Tanaka improves his record to 9-0, while Aguon dropped to 6-4. Meanwhile, the tallest featherweight fighter in the world made a successful PXC debut last night as Will “The Kill” Chope defeated a much experienced fighter in Takumi Nakayama in the third round via 3rd TKO stoppage. The Kill wasted no time and came out from his corner guns blazing, using his height and reach advantage over Nakayama, he connected several punches to maintain his range against the Japanese veteran. In the later minutes of the first round, Nakayama took Chope down and caught him in a deep D’arce choke, but Chope escaped. Nakayama came out aggressive in the second round, tagging Chope with several hard punches. But the American kept his composure and recovered. In the third round, Chope finally finished his opponent and got him hurt with his ground and pound. 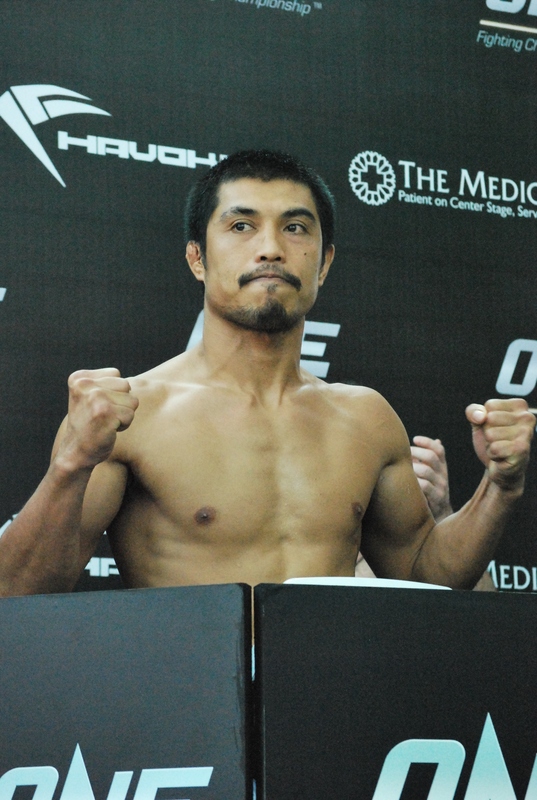 Chope stopped Nakayama in the third made his PXC debut a successful and very impressive one. Kyle “Boom” Reyes scored a mind-boggling flying knee KO against Taekyun Kim of South Korea in the very first round. Reyes redeemed himself from his UD loss in the hands of Rolando Dy at PXC 39 in the Philippines. 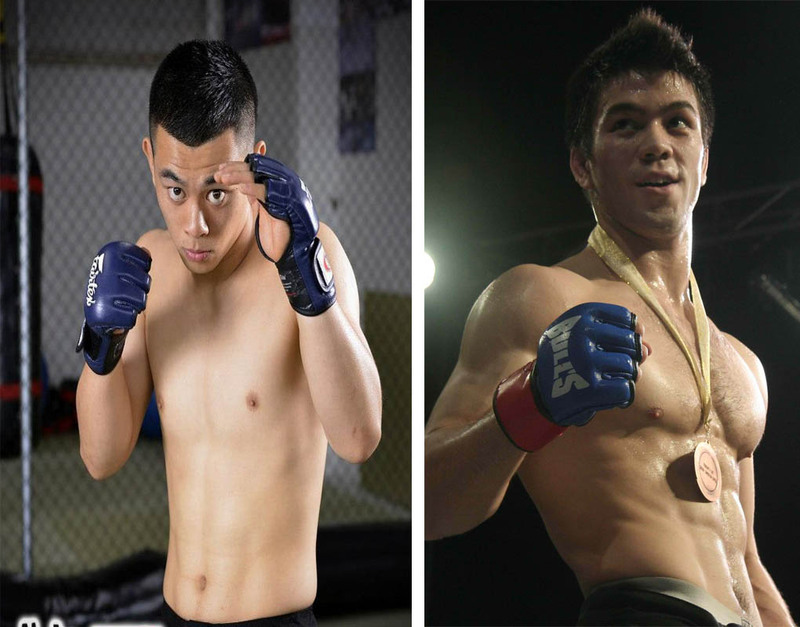 PXC adds three very interesting match ups for their November 9 event in the Philippines as Mark “Mugen” Striegl, one of Philippines’ best MMA fighters will try to bounce back from a devastating 3rd round submission defeat in the hands of the current PXC World Featherweight Champion, Jangyong Kim at PXC 39 as he takes on fast rising prospect from New Zealand Ev Ting in PXC 41 at the Ynares Sports Arena in Pasig City, Philippines. Team Lakay’s Troy Bantiag and top Hawaiian prospect Johnny Pecyna will try to put themselves back into the winning column as the two intimidating bantamweights lock horns at PXC 41. PXC CEO/Promoter, EJ Calvo, confirmed the bouts on Saturday morning. Striegl and Ting already faced each other last year at Legend FC 7. The superb grappling ability of Striegl was the biggest factor in their first meeting as the Filipino puts the Kiwi fighter into deep sleep in the very first round by way of rear-naked-choke. Since he lost to Mark Striegl, Ting went 2-1 including his K.O victory over Dustin Terill and a Unanimous Decision win against Rolando Dy. Ting’s two-fight win streak was snapped when he lost to the South Korean fighter, Yeong Gwang Choi at Legend FC 11. Meanwhile, Striegl is coming off a shocking defeat against Korean Top Team’s Jangyong Kim last September. Everyone, except for the South Koreans, at Ynares Sports Arena in Pasig was stunned when they saw their hometown hero tapped for the first time in his career. Kim silenced and proved the people wrong that he can beat the heavy favorite Striegl and became the newest PXC World Featherweight champion. The fight with Kim exposed a lot of holes on Striegl’s game. Some said he lost because he got no striking, his cardio sucked, and he seemed small compared to Kim. But if you are a Striegl fan, you must know and believe that he is a warrior and he will be back stronger, because that is what he do – training hard to get better in every aspect of his game. Another explosive fight is set to go down between two of the fastest and powerful flyweights in the region as Jinel Lausa of Team Insider battles heavy-handed Ernesto Montilla Jr. of Fightworks MMA. 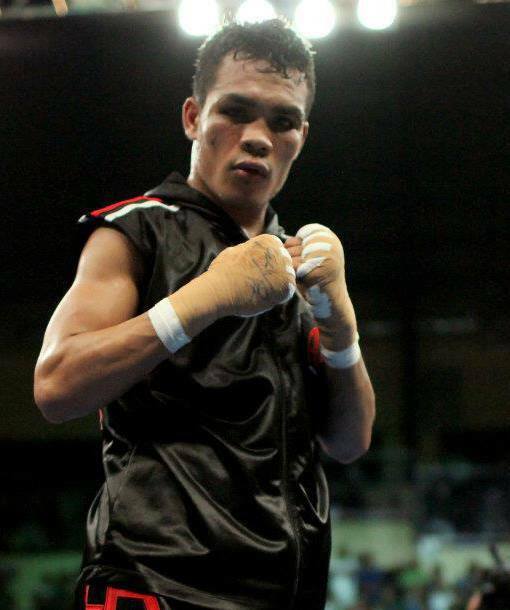 The bout was confirmed by Montilla Jr.’s coach, Christopher Brandy Quicho. Jinel Lausa showed how talented of a fighter he is when he dismantled Adam Cacay in the 3rd round of their PXC 39 fight. Lausa comes from a Boxing and Muaythai background. He has an incredible handspeed and a very strong takedown defense. In the other hand, Montilla Jr. has been a force in the PXC flyweight division, defeating some of the best guys in his division. His TKO victory against Jerome Wanawan and submission win over Ruel Catalan simply showed that he is a threat to anyone in the division. Montilla Jr.’s last outing did not went well for him as he lost to an incredibly talented fighter from Baguio, Team Lakay’s, Roldan Sangcha-an. But despite of the roller coaster ride of his MMA career, Montilla Jr.’s enthusiasm in training and his attitude of a champion will surely bring him into the title contention in the future. For now, he just needs to win one fight at a time. 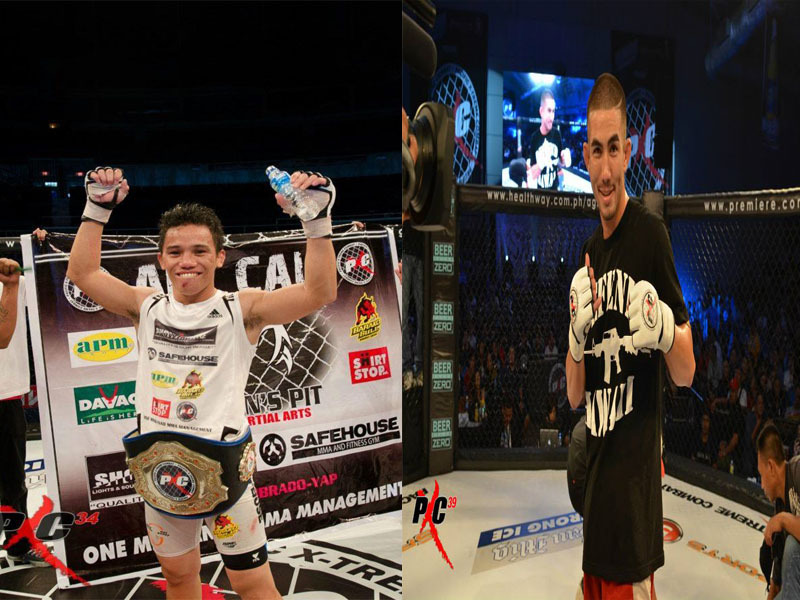 PXC 41 features a World Flyweight Championship fight between the alway-exciting champion Ale Cali and the no. 1 contender Louis Smolka. Also, “The Slugger” Crisanto Pitpitunge, after he lost the bantamweight title against Michinori Tanaka at PXC 37, is going to make his return and looks to start his climb up the title contention when he takes on a very dangerous Hawaiian fighter in Russel Doane. Lightweights Camacho vs. Bang has been postponed to PXC-41. (Press Release) PXC-40 was prepared for Saipan’s Frank “The Crank” Camacho to battle Korea’s Seung Hwan Bang on October 25, 2013 at the UOG Fieldhouse on Guam, but the fight was cancelled because of Bang’s VISA problems. Their bout has been postponed to November 9, 2013 at PXC-41. PXC-40 will still be an explosive night of MMA action as recently crowned PXC Bantamweight Champ, Michinori Tanaka of Japan, will defend his Title for the first time in hostile territory against rising MMA star from Guam, Kyle Aguon, on October 25th at the University of Guam Field House in Mangilao, Guam. PXC-40 will take place on Friday, October 25th, and will feature a stacked fight card, with professional MMA matchups showcasing some of the best fighters from Guam, Hawaii, California and Japan. Tickets are on sale now for $30 General Admission at 76 Circle K locations throughout Guam or online via http://www.tpiguam.com. VIP tickets are $50 and available at Cars Plus in Maite. PXC-40 is presented by Miller Lite, Docomo Pacific, and the stations of KUAM. PXC-40 is also brought to you by Guam Air Guard, Jeep, Monster Energy, Pacific Islands Club, 76/Circle K, Budget Car and Truck Rental, Pacific Trucking Guam, Gladiator Crew, and Uno Guam Magazine. For more information on PXC-40, check out www.pxc.com.ph or visit us on Facebook. DARE – Rebels of MMA Full Fight Card! 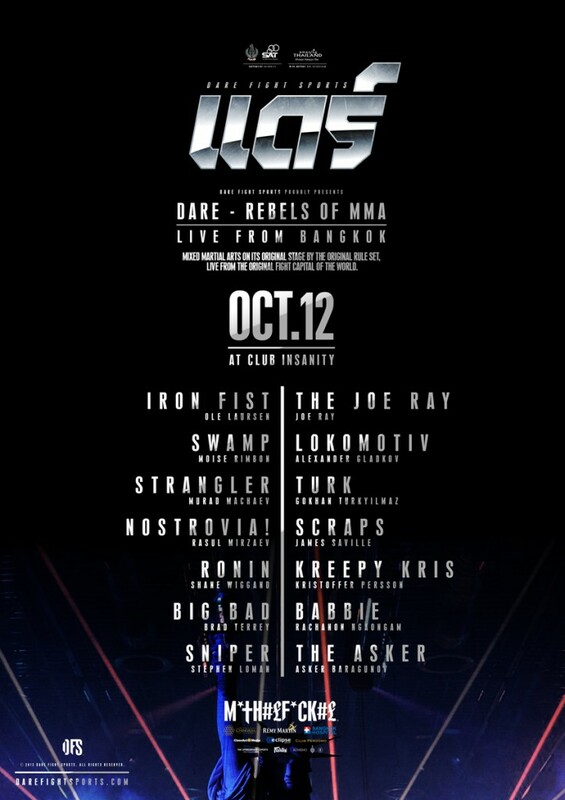 The wait is finally over, as Thailand’s largest Mixed Martial Arts organization, Dare Fight Sports is back with Asia’s most anticipated fight event of 2013 – DARE – Rebels of MMA. Dare Fight Sports presents their first event since their official endorsement from The Sports Authority of Thailand (SAT) to mark the return of MMA to one of the original homes of Mixed Martial Arts. Since their launch in 2011, DARE quickly established themselves as The Rockstars of MMA, with the most original and stylish production, coming out of a nightclub in the heart of Bangkok, the Coolest City on the Planet. The October event will see the continuation of DARE’s Million Dollar Tournament, with fighters in 8 weight divisions competing in 8 simultaneous knock-out tournaments, the winners of which will collect their share of the Million Dollar Prize. The DARE – Million Dollar Tournament is broadcasted to over 700 million households worldwide on TRUE Sports in Thailand, CCTV5 in China and NBC Sports in USA. October 12, 2013 – Club Insanity, Sukhumvit Soi 12, Bangkok, Thailand. Warm-up party starts at 4PM, Doors Open at 5PM – Fights start at 6PM. October 8, 2013 – ROAD Fighting Championship announces the full thrilling line up of twelve fights for another action-packed MMA event. 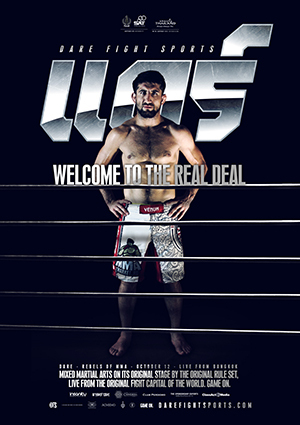 ROAD FC 013 and Young Guns 9 will take place this coming Saturday, October 12th, 2013 in the J.H. Park Stadium in Gumi, South Korea. The Main Event will be Lightweight Champion Nam Yui-Chul’s first title defense against Kume Takasuke. 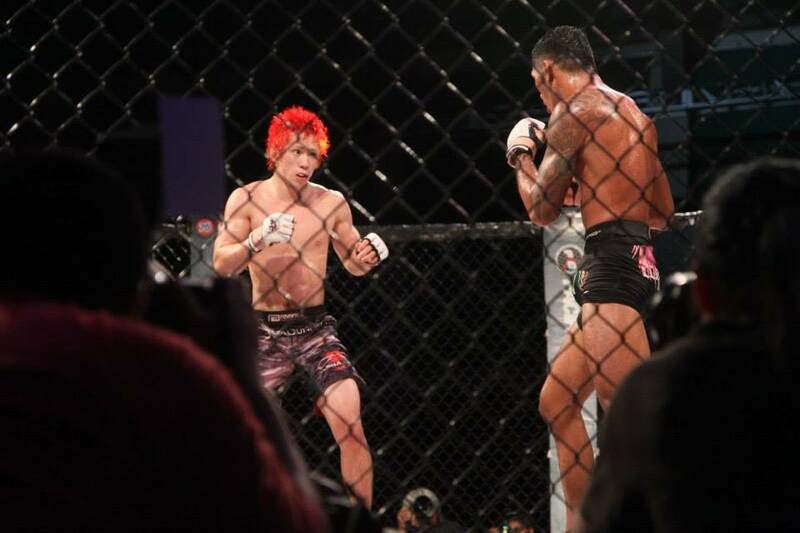 Both fighters were the Finalists in the ROAD FC Lightweight Tournament. 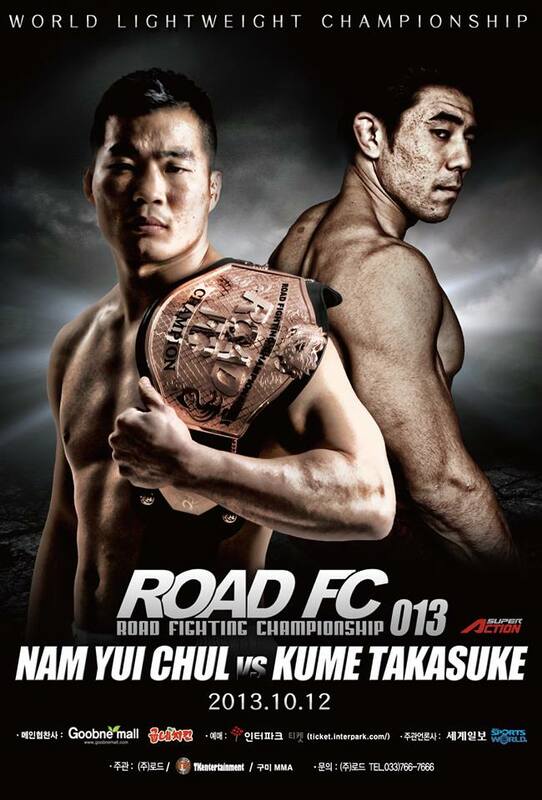 At ROAD FC 011, Nam won the title after going into a fourth overtime round in a very close and hard-fought battle with Kume. The future of the ROAD FC Lightweight Champion will be determined in this highly anticipated rematch between two of the best and most exciting lightweight fighters. The first of four Superfights will be a lightweight challenge between Korea’s icon Kwon A-Sol, who is returning to MMA after two years of military service, against Japan’s KO artist Koji Nakamura. The second Superfight will be a bantamweight contest between Issei Tamura, a recent UFC veteran, and Song Min-Jong, the recent Championship Contender. An exciting and historic middleweight Superfight features Japanese super star Ikuhisa Minowa in the 100th fight of his career against the very tough Kim Hoon. The final Superfight of the Main Card will be a welterweight clash between heavy hitting Karate Champion Andrews Nakahara and grappling ace Cha Jung-Hwan. The Young Guns 9 Undercard will be the Semifinal matches for the Featherweight tournament, Kwon Bae-Yong versus Kosuke Umeda and Kil Yong-Bok versus Choi Moo-Gyum. All four fighters have the capability of winning the entire tournament, so the Semifinals will be hotly contested bouts with a lot riding on the outcome. Future featherweight contenders meet in two more matches: Yoon Heo versus Jo Byoung-Oak and Yoon Jae-Oon versus Jeon Uh-Jin. A Bantamweight Superfight sees the ongoing rivalry between ROAD FC and DEEP FC continue as “Little Korean Zombie” Lee Yun-Jun returns to take on the “Korean Killer”, Makoto Kamaya from DEEP. Rounding out the Young Guns 9 Card is 2-time “Crying Fist” competitor Han Ee-Moon taking on wild horse Kim Hyoo-Ryong, and bantamweight kickboxing pro Kim Seong-Jae dropping to flyweight to face ROAD FC Into League top four finalist Kim Gyu-Hwa. On October 12th, the Young Guns 9 Undercard will begin at 4:30 KST and the ROAD FC 013 Main Card will begin at 7:30. ROAD FC 013 will be broadcast on SuperAction Live in South Korea, and live on Ustream at http://www.ustream.tv/roadfc. Tickets for the event can still be purchased at Interpark online at http://ticket.interpark.com/search/ticket.asp?kind=othersite&search=%B7%CE%B5%E5FC&sc.shopNo=0000100000&sch=t_catebox&sbn=ticket. For updates please visit the ROAD FC website at www.ROADFC.com and the Official Facebook page at https://www.facebook.com/roadfightingchampionship. On November 9th, 2013, Philippines’ premiere MMA promotion will stage their final fight card of the year at the Ynares Sports Arena in Pasig City for PXC 41. The said event will be headlined by PXC world flyweight champ Ale Cali, and the undefeated Hawaiian, Louis Smolka. This is going to be Cali’s second title defense and will be his comeback fight after being sidelined by a shoulder injury. The news was confirmed by PXC CEO/Promoter, EJ Calvo on Saturday. Smolka earned his ticket to face the champ last February when he defeated the much experienced fighter, Alvin Cacdac, via RNC in the third round. It was a very impressive come-from-behind win by Smolka as he managed to survive two brutal rounds of assault by Cacdac, who pounded him with vicious haymakers before submitting the veteran fighter in the third round. “Da Last Samurai” was pumped to face Cali after his PXC 35 win, but the champion sustained a shoulder injury delaying Smolka for his title shot. As Cali recuperates, Smolka is itching to get back inside the cage to keep away from ring rust. That is why when he was given the offer to fight the former URCC bantamweight champion Jessie Rafols at PXC 39, even though it was a bantamweight contest, he agreed to fight him without any single doubts in his mind. Smolka overcame an adversity before his fight against Rafols as he was badly sick the day before PXC 39 which gave him a little doubt if he can win over his Filipino foe. But his team mate, the PXC lightweight champion Harris “The Hitman” Sarmiento was there and gave Smolka some serious boost and convinced him that he should win the fight no matter what. Sarmiento’s encouragement of Smolka paid off as Smolka did a quick work of Rafols, making the Filipino tap by way of rear-naked-choke in the very first round. On November 9th, Smolka looks to stay unbeaten in his career and aims to dethrone the champ and bring the belt home in Hawaii. In the other hand, no fighter in the PXC has the eagerness and hunger to get back in the cage than the current flyweight world champion, Ale “The Young” Gun Cali. It has been a year since Cali made his first title defense against the crafty veteran, Erwin Tagle at PXC 34. That is why the Davao native Cali started his camp early to shrug off little cobwebs in his game. At PXC 39, during Smolka’s post fight interview, Cali went inside the cage and shook hands with his next challenger and congratulates him with a smile for winning that night. Smolka, then told Cali to stay healthy and train hard for their fight. Cali is known for his slick boxing skills, footwork, and speed. When he faced the seasoned fighter, Jessie Taitano at PXC 29, he didn’t only show his striking prowess; he impressed a lot of fight fans that night when he showcased his much-improved wrestling and BJJ skills by avoiding takedowns and submission attempts by Taitano. Cali dismantled Taitano in the third round and claimed the title and made as the first-ever homegrown PXC flyweight champion. Cali vs. Smolka is probably one of the most anticipated fights in the region as two of the most talented and toughest fighters collides inside the Philippines’ largest MMA promotion. It is a very intriguing match-up as the submission specialist Smolka is hungry to verify that he is the baddest man in his division. But no mistake about the champ, he is the flyweight king for a reason. Though he has been sidelined for quite some time; let us not forget how dangerous this fighter is. Cali can end the fight whenever he wants, but the big question for the champion right now is can he take Smolka’s world-class grappling expertise? PXC 41 will also feature an explosive bantamweight scrap between the former PXC bantamweight champion, Crisanto “The Slugger” Pitpitunge and the always dangerous Hawaiian warrior, Russel Doane. Mark Striegl will also be back in action after a devastating 3rd round submission loss against Jang Yong Kim at PXC 39. Though his opponent is yet to be determined, Mugen’s back in the gym in training and is very fired up to get back into the mix. 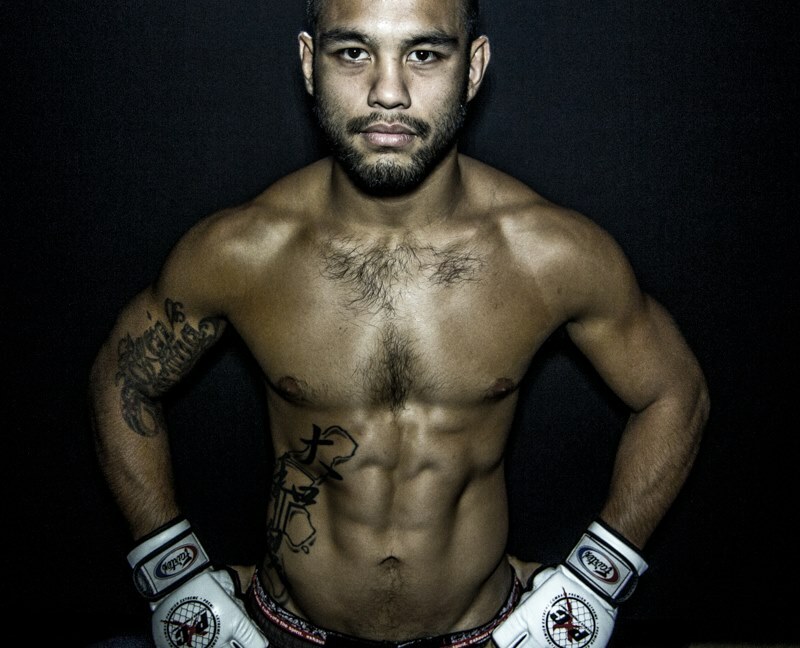 Also, a lightweight fight is set between two UFC vets as Keita “K Taro” Nakamura lock horns with Shane “Suga” Nelson.